The Grand Slam of Darts is one of the biggest and best tournaments in the world, taking place each November in the Civic Hall in Wolverhampton. But since it’s inception in 2007, the tournament has been won by just four players but dominated by two. Unsurprisingly, Phil Taylor was the first man to dominate the Grand Slam, winning six tournaments in eight years until 2014, with Scott Waites and Raymond van Barneveld each claiming single titles during that period too. But for the past three years, it has been Michael van Gerwen’s name that seems to be inevitably ending up on the title. However, with some bright young sparks entering the scene, as well as some seasoned pros hitting form, who could win the 2018 Grand Slam of Darts? Unsurprisingly, the overwhelming favourite for the tournament in the Midlands is the big Dutchman. He is at the top of the sport and wins the majority of tournaments he enters. It’s almost a shame that a player with the calibre of Phil Taylor recently retired, as it has left MVG somewhat marooned as the best player in the world by some distance – not that that’s a bad place to be stuck for him. But for the sport, it would be great to see another player emerge and provide serious competition for Mighty Mike. Indeed, van Gerwen won six of the nine premier tournaments he entered in both 2015 and 2017, as well as a remarkable eight out of 10 in 2016. So, there’s no doubt who’s the king of darts right now, and it would be no surprise to see MVG lift the title in Wolverhampton again. But if van Gerwen is to achieve everything he wants to in the sport, he’ll surely need some kind of nemesis in order to spur him on and push him to even great heights. He may not have an obvious challenger right now, but perhaps in the next couple of years, a true foe may emerge for van Gerwen. Below, we’ll look through some other potential contenders for the 2018 Grand Slam of Dart – and even potential challengers to MVG. 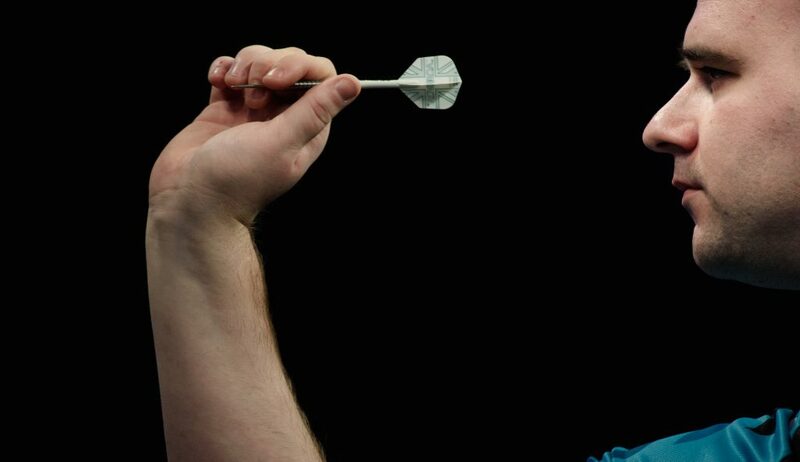 In the space of 11 remarkable months, 27-year-old Rob Cross made the transition from electrician to professional darts player and subsequently world champion. His rise has been nothing less than meteoric, with Cross really coming to public attention in Phil Taylor’s final professional darts match – fittingly the PDC World Championship finally – but Cross hadn’t read the fairy-tale script and caused an almighty upset to beat the most successful darts player of all-time and write the first chapter of his own story. What’s more, Cross looks set to stay at the top of the sport after an explosive first year, making his way to the latter stages of nearly every premier tournament he enters. Indeed, it’s scary to think how much progress he’s made in such a short time, and how much further progress he can make after a few more years of professional training. Following his success at the World Championships, Rob Cross will surely be aiming to lift more major titles in 2018 – and the Grand Slam of Darts will undoubtedly be right at the top of that list. 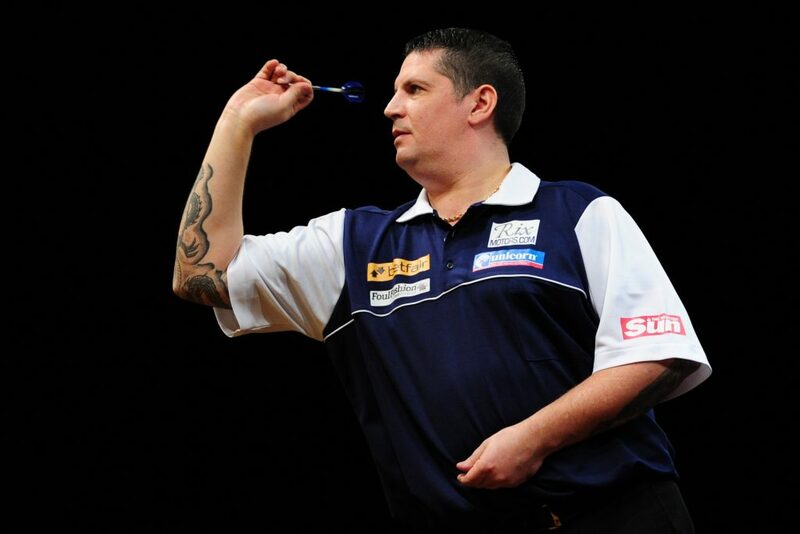 Peter ‘Snakebite’ Wright enjoyed the season of his career in 2017 with a host of runner-up finishes in premier events – including the Grand Slam of Darts. But it seems remarkable that Wright’s only major title came at last year’s UK Open, especially considering it feels like the entertaining Scot has been around for what seems like an eternity. However, that’s not actually the case. Despite being 48 years of age, Wright didn’t play a full season of events until 2008, and it wasn’t until 2014 that he reached his first major final. Nevertheless, Wright’s record has been steadily improving for some time, and having entered 2018 as the world number two, it seems as though he is finally set to seriously compete for major honours. One of the senior members of the tour, Gary Anderson has long competed for titles, but inconsistency has plagued his game. For every title he wins, he crashes out in the first round against an unknown in another. Of course, there’s no question regarding the Flying Scotsman’s talent, having won back-to-back World Championships in 2015 and 2016. The big question looming over Anderson heading into any tournament, though, is what sort of form will he be in. The talent is undoubtedly there, but this inconsistency is what separates him from the likes of a champion like Michael van Gerwen. Nevertheless, you should never rule the 47-year-old out of tournaments – including the Grand Slam of Darts in which he recorded successive semi-final finishes in 2016 and 2017. But can he make it to the final in 2018 and win the coveted trophy for the first time? Anderson started 2018 in excellent form, winning the UK Open and putting in decent performances in the World Championships and the Masters. But if you’re looking for a real outsider to back for the 2018 Grand Slam of Darts, look no further than 23-year-old Australian Corey Cadby, who Gary Anderson edged out in the 2018 UK Open final. At the age of just 21, Cadby first came to public knowledge when he managed to beat Phil Taylor 6-2 with an average of 103.58, before losing to Peter Wright in the quarterfinals of the Perth Masters despite both players recording averages in excess of 109. Cadby enjoyed a great breakthrough year in 2016, winning no less than 11 titles and it is surely only a matter of time before he makes an impact at the very top level.